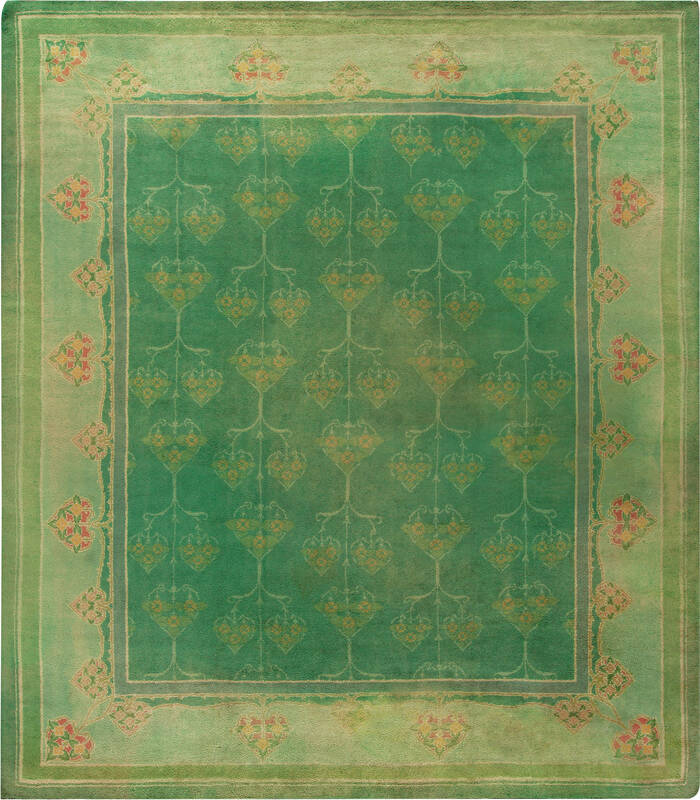 This circa-1910 antique Irish Donegal rug feaures an all-over design of repeating white heart abstractions containing floral motifs in subdued orange and green against a muted green field. 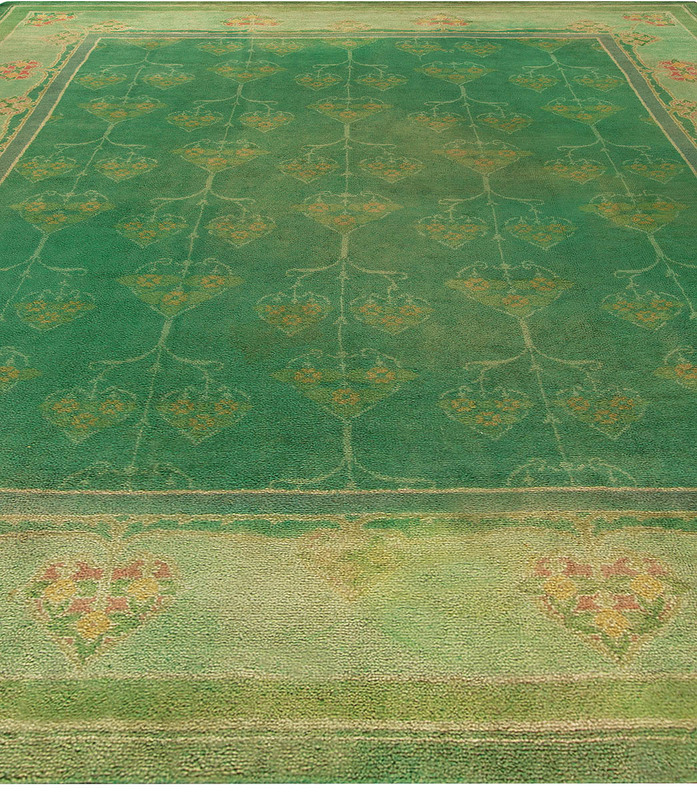 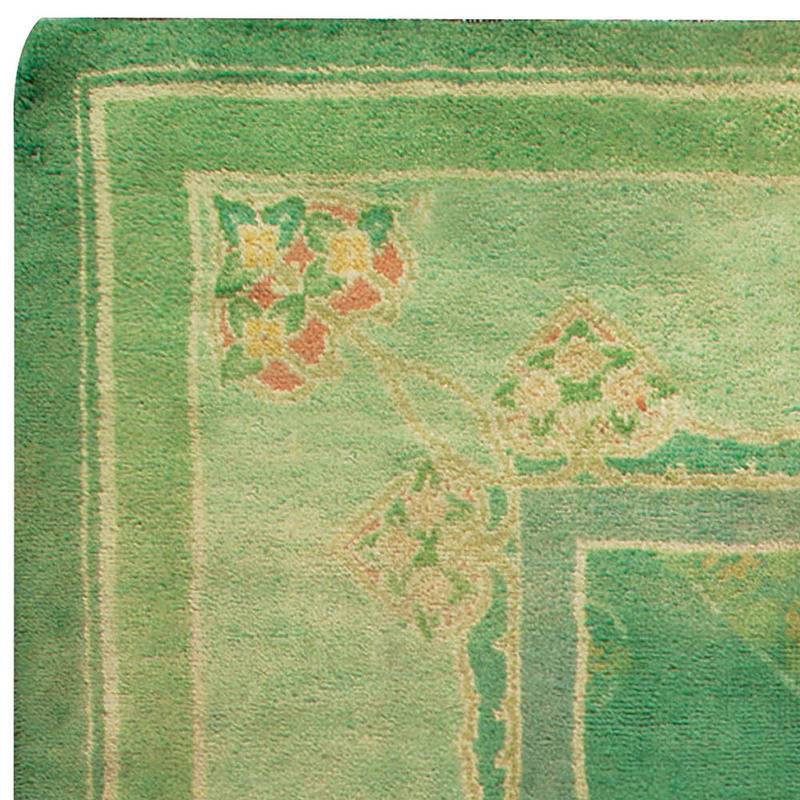 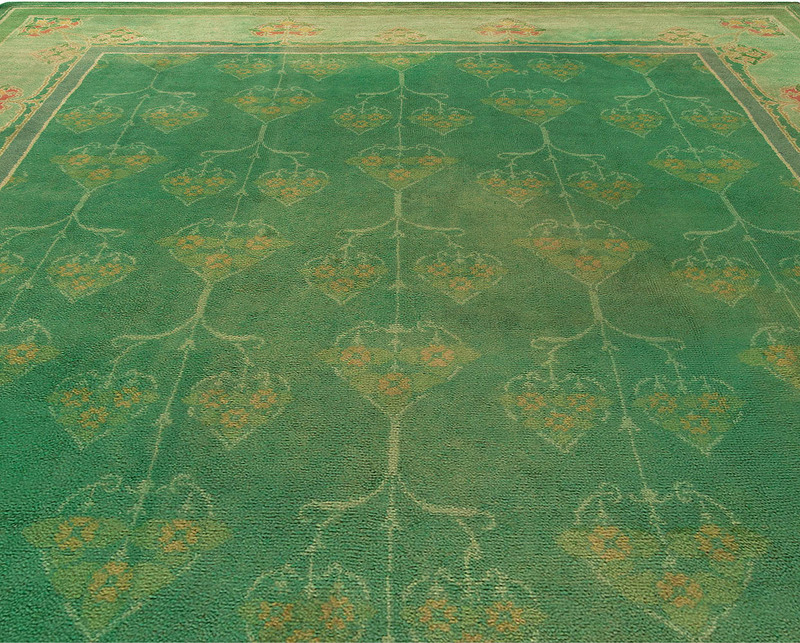 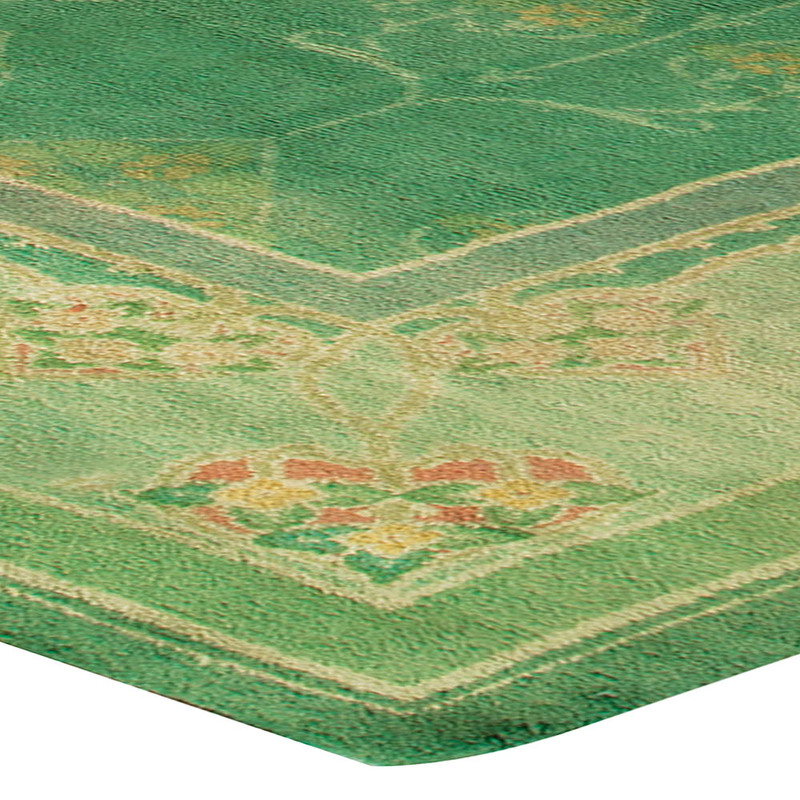 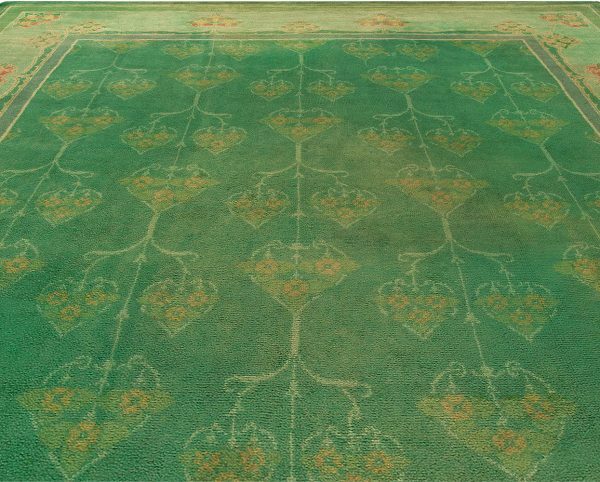 A thick main border of abrashed light green containing floral heart emblems surrounds the antique carpet. 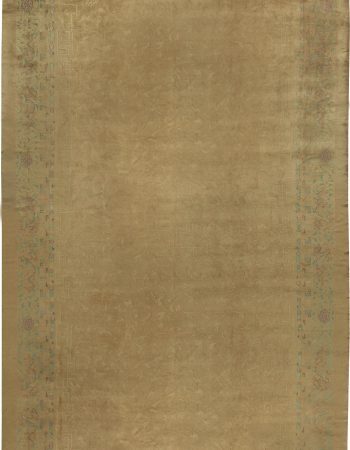 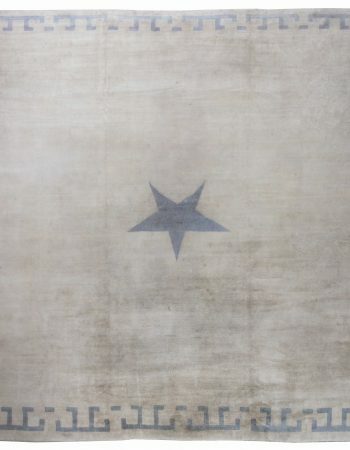 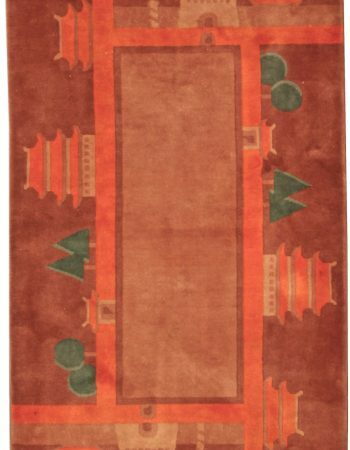 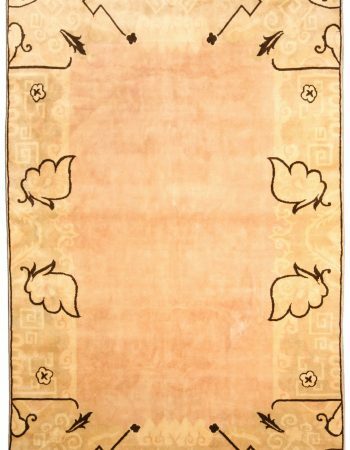 The overall presentation is one of understated delicacy and the muted patina characteristic of vintage rugs. Hand-knotted antique rugs have been produced in Donegal, Ireland starting in 1858, when a weaving factory was opened in the village of Killybegs. 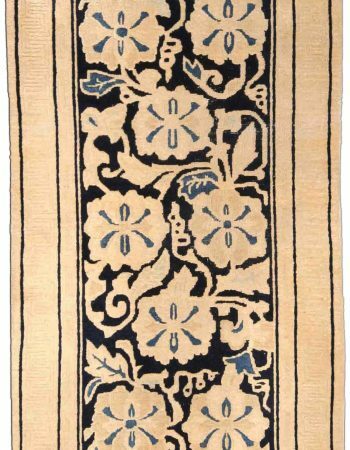 During the late 19th century Donegal became known for its fashionable Art Nouveau and Arts and Crafts style rugs, designed by such individuals as CFA Voysey – as is the case with this antique carpet. 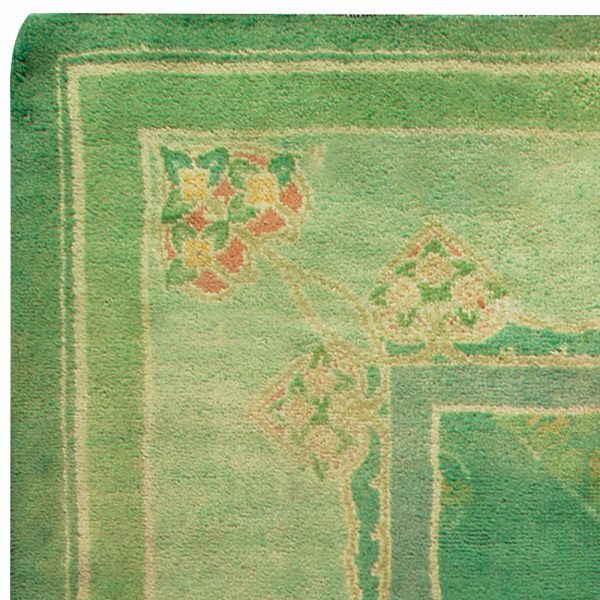 However, these exquisitely colored and impeccably drawn antique carpets may also draw inspiration from early medieval Irish art like the Book of Kells or the Tara Brooch.